Discover the magazine that has been serving the gem and jewelry arts for over 60 years! 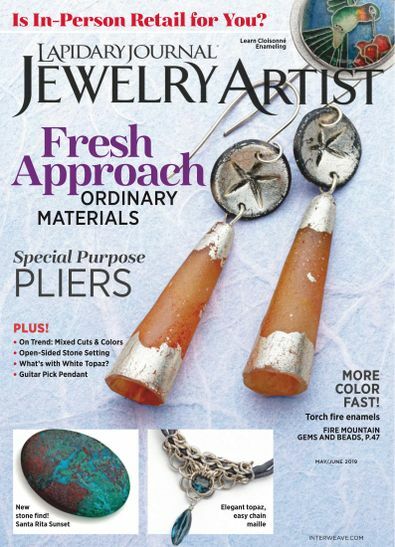 In every issue of Lapidary Journal Jewelry Artist you’ll get hands-on expertise, illustrated demos, and projects loaded with valuable tips and design ideas to inspire your own metal jewelry designs. Plus our experts answer all your technical questions, and you’ll learn the pros’ favorite tools and how to use them. Be the first person to tell us what you think about Lapidary Journal Jewelry Artist and you'll save $5 on your next purchase!